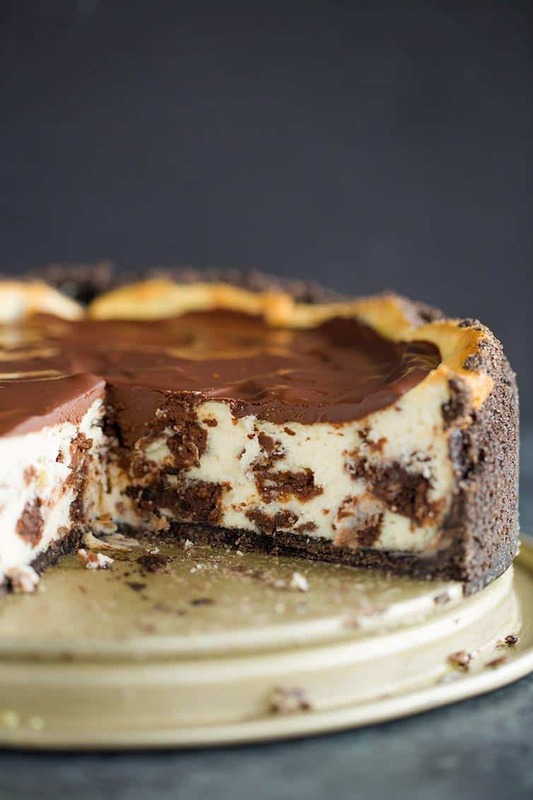 This brownie mosaic cheesecake is a luscious cheesecake with cubes of brownies baked right inside, an Oreo crumb crust and chocolate ganache topping. A true showstopper of a dessert that is every bit as delicious as it appears. It first graced my kitchen NINE years ago, and I fell immediately in love. 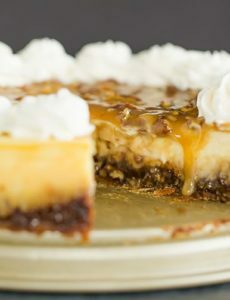 I’ve forever been a die hard cheesecake fan and this one totally knocked my socks off. I saw it on Smitten Kitchen and couldn’t wait to make it, and was just as impressed with it as I thought I’d be. A lot of time has passed since I originally made this, and I’ve since tweaked and altered it a bit to better suit my tastes as they’ve evolved over the years, and I have to say that they are only for the better, even though the original is still utterly fantastic! I have such a very specific memory tied to this cheesecake, and as a result I’m always craving it around this time of year. When my husband and I started dating (also late October/early November), he was still living and working near D.C. so we only saw each other on the weekends. During the week, we got into the habit of playing online Scrabble against each other and would chat while doing so. One of the first nights we did that, I remember thawing a piece of this cheesecake from the freezer, and enjoying it, along with a can of Diet Coke, while we played Scrabble. 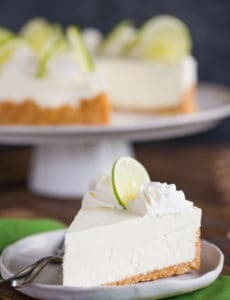 So, needless to say, I love this cheesecake, and I love all of the memories it floods me with whenever I take a bite. The crust. When I’ve made this in the past, I had an issue with the melted butter pooling out of the pan, so I decreased the butter by half. The brownies. In the original recipe, there was a simple one-bowl brownie recipe. You could totally still use this (or even a box mix! 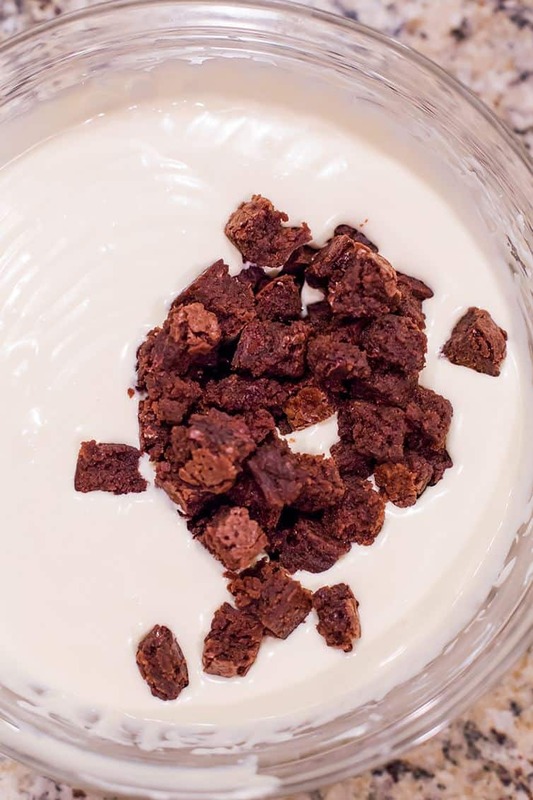 ), but since you don’t need the entire recipe of brownies for the cheesecake, I decided to use my favorite all-purpose brownie recipe – the better-than-box-mix brownies. If I have leftovers, I want to love, love, love eating them! The cheesecake. Since I found my very favorite basic cheesecake recipe, I love to use it for every variation I make. I first introduced it here on the site with my Oreo cheesecake, and also used it in the chocolate chip cookie dough cheesecake. It’s super creamy and slightly dense and I adore it, so I used it here! The ganache. The original ganache had chocolate, butter, heavy cream, powdered sugar, and vanilla extract. I went the super simple route and used the same ganache (although halved) that I poured over the chocolate peanut butter cup overload cake. It sets firm yet soft and goes perfectly with the creamy cheesecake. So there you have it! The legendary brownie mosaic cheesecake in all of its glory and updated for 2017. The cheesecake itself has the perfect texture – wonderfully creamy and melts in your mouth. 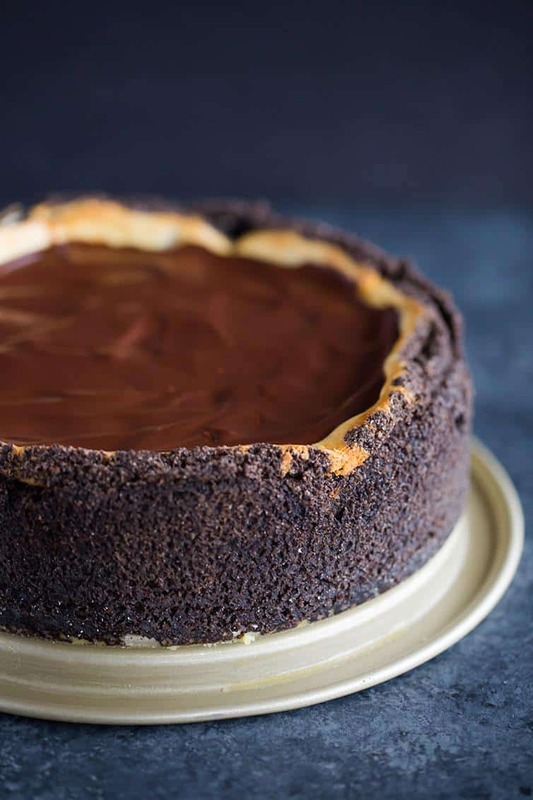 Pair that with the crowd-favorite Oreo crust, a bite of fudgy brownie in every other forkful, and a layer of decadent chocolate ganache and really – cheesecake (or life, for that matter) does not get much better than this. This is perfect for a special occasion or feeding a crowd, because a little sliver really goes a long way. I hope this brownie mosaic cheesecake can provide you with some special memories of your own! 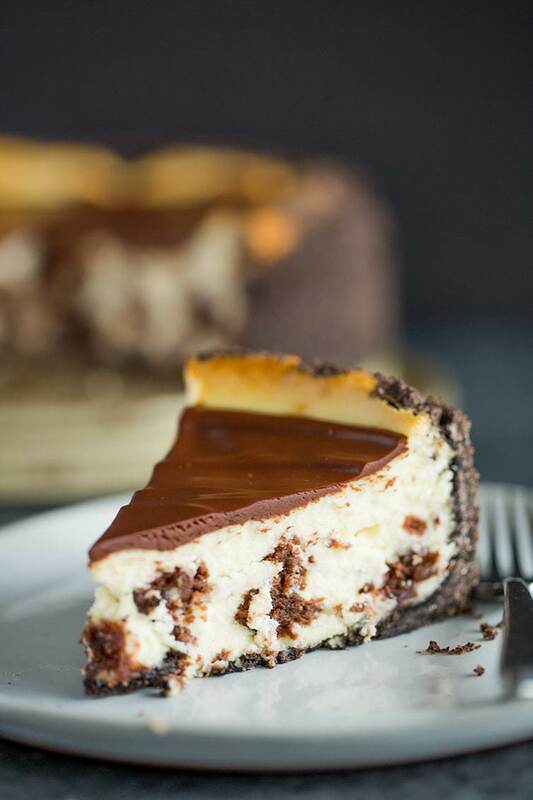 A luscious cheesecake with cubes of brownies baked right inside, with an Oreo crumb crust and chocolate ganache topping. Make the Crumb Crust: In a medium bowl, whisk together the Oreo crumbs, sugar, and salt. 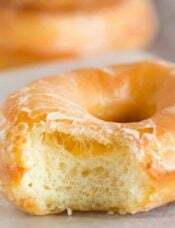 Add the melted butter and stir with a fork until evenly moistened. Press into the bottom and up sides of the prepared springform pan. Refrigerate while you prepare the filling. 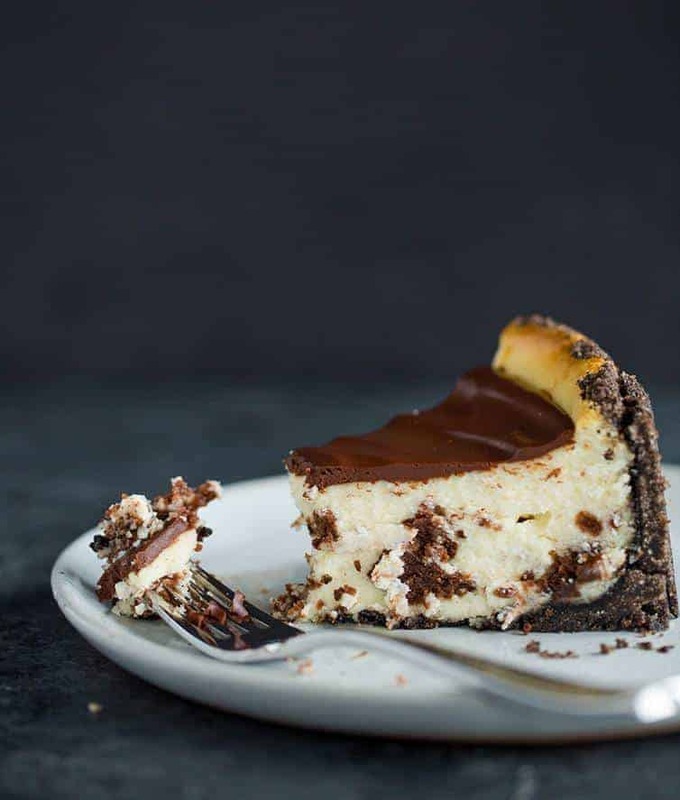 Make the Cheesecake: Using an electric mixer on medium-low speed, beat the cream cheese, sugar, flour and salt until the mixture is creamy and no lumps of cream cheese remain, about 3 minutes. Scrape down the sides of the bowl, add the heavy cream and vanilla and beat to combine. Beat in the eggs and yolk one at a time, beating for about 15 seconds before adding the next. Using a rubber spatula, mix a few times by hand to ensure that all of the ingredients are evenly incorporated. Gently fold in the cubed brownies. Pour the filling into the chilled crust and spread into an even layer. 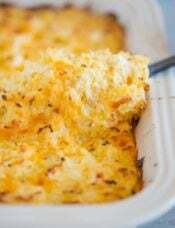 Place the springform pan on a rimmed baking sheet. Bake until the outer couple inches of cheesecake looks puffed and set, but the center still jiggles when you move the pan, about 40 to 55 minutes. Turn off the oven, crack open the door and leave the cheesecake inside for 1 hour. After an hour, remove the cheesecake from the oven, place on a wire cooling rack and run a thin knife around the edge of the cake. Allow to cool completely to room temperature. Once the cheesecake has cooled to room temperature, refrigerate for at least 4 hours, preferably overnight. Make the Chocolate Ganache: Place the chocolate in a 4-cup measuring cup; set aside. Place the cream in a small saucepan over medium heat and warm until it just comes to a boil. Pour the cream over the chopped chocolate and let sit for 2 minutes. Begin whisking the mixture in the center, gradually working your way outward until the ganache is completely smooth. The ganache should be slightly thickened, yet still a pourable consistency. If it is still too thin, let sit at room temperature, stirring occasionally, until it reaches the correct consistency. Pour the ganache evenly over the top of the cheesecake. 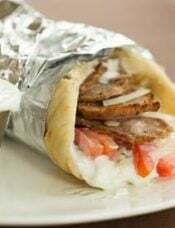 If it's a little thinner, it will likely spread out on its own; if it is thicker, you may need to use an offset spatula to spread it into an even layer. Refrigerate for at least 30 minutes to allow the ganache to set. When ready to serve, unmold the cheesecake and place it on a serving platter. 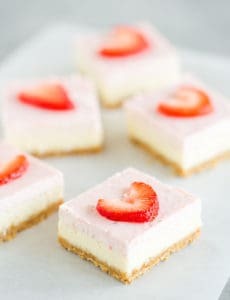 Leftover cheesecake can be stored, covered, in the refrigerator for up to 1 week. 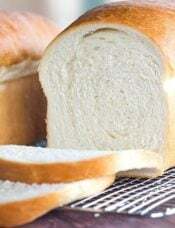 It can also be frozen (whole or in slices) for up to 2 months. You can use your favorite brownie recipe for this (homemade or store-bought); I chose to use my better-than-box-mix brownies. 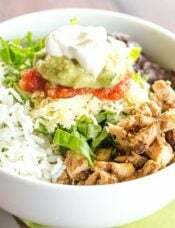 This recipe was originally published on October 11, 2008. This by far was the best cheesecake I have ever made. Thanks! 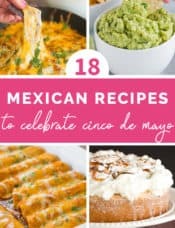 I plan on making it for two separate occasions in December! This cheesecake looks yummy. I’ve never made any cheesecake that was not plane. I usually add blueberry topping on top after making my “plane Jane” cheesecake. I think I will be giving this one a try, although I already feel intimidated, because your cheesecake is so beautiful and looks mouthwatering. A luscious cheesecake with cubes of brownies baked inside!